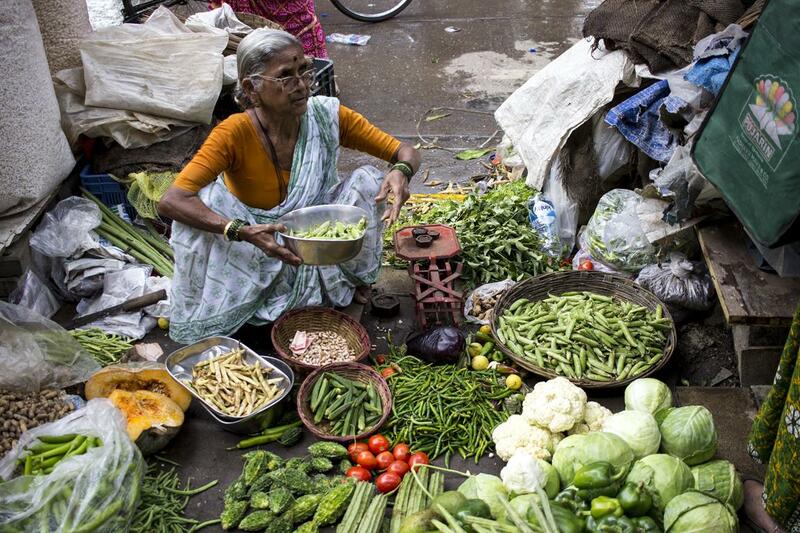 Small quantity but large variety of vegetables. 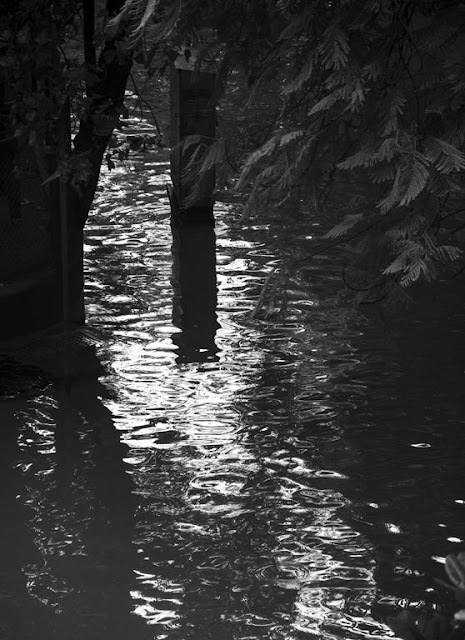 Due to a cloudburst yesterday Mumbai went underwater bringing the city to a gurgling halt. 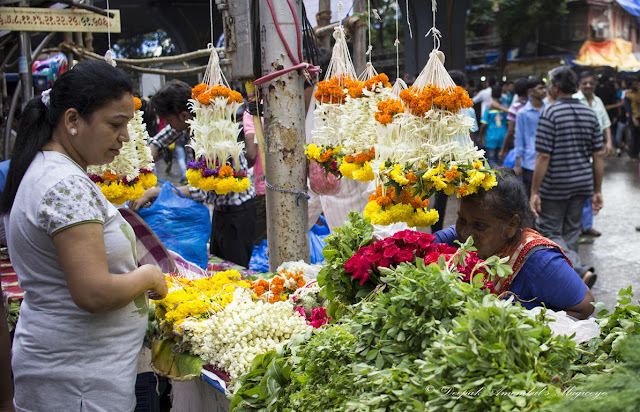 Floral garlands, marigolds, jasmine and roses to be offered to Ganesha during the ongoing festival. 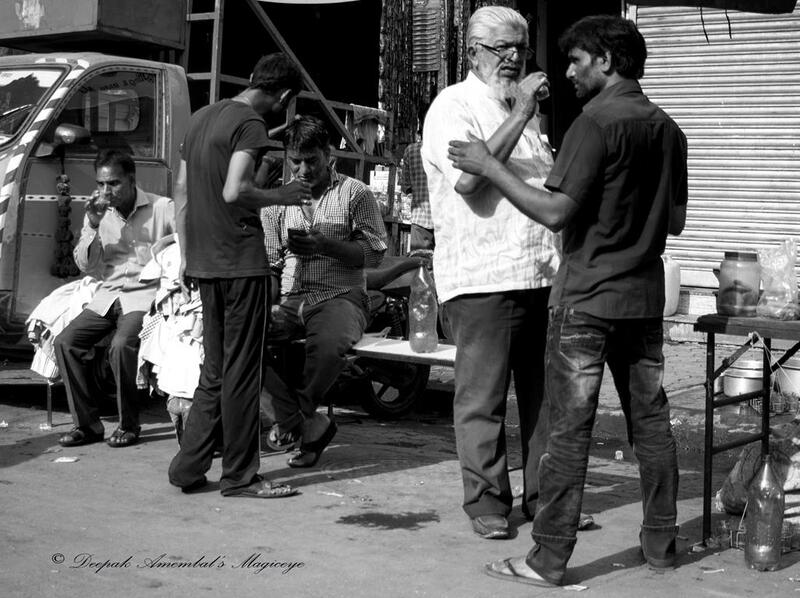 Chai pe charcha - Discussions over a glass of tea. 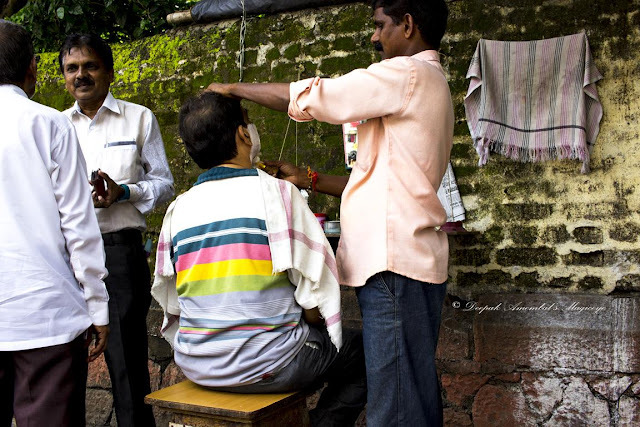 Traders in different stages of trading. 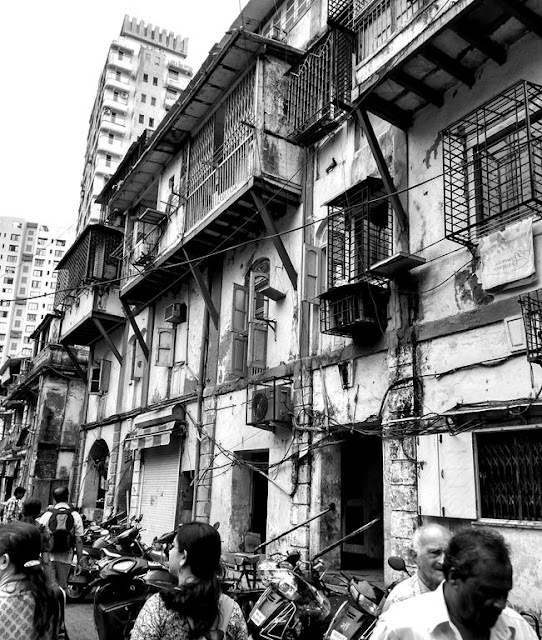 The Mumbai skyline last evening. At the colourful flea market in Mumbai. 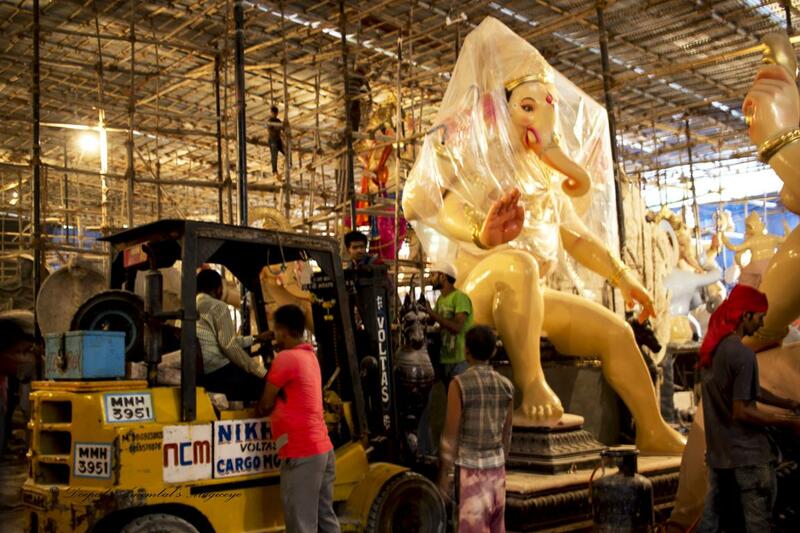 Watching the mega Ganapati idol being carted from the workshop in Parel. 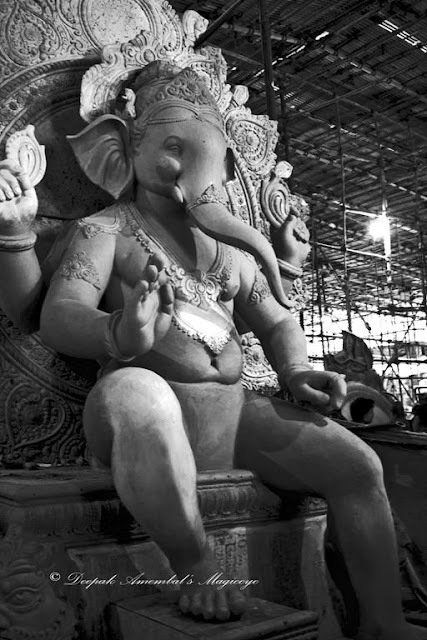 Idols of Gauri - Ganesha's mother and the associated bling sold on the street in Lalbagh. 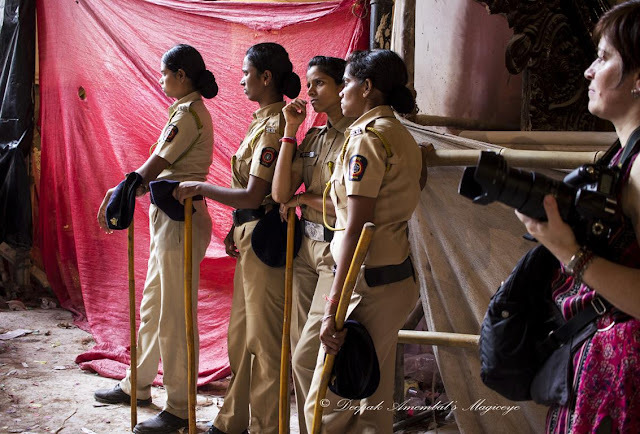 Getting to work, in Girgaon. 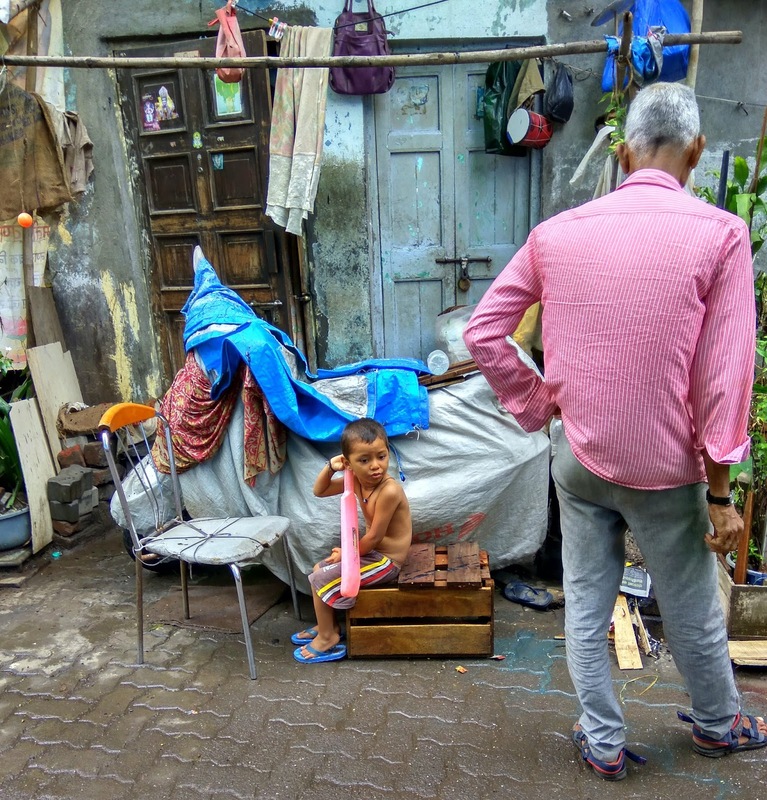 'King of Dharavi' getting ready to roll out from the workshop in Parel. 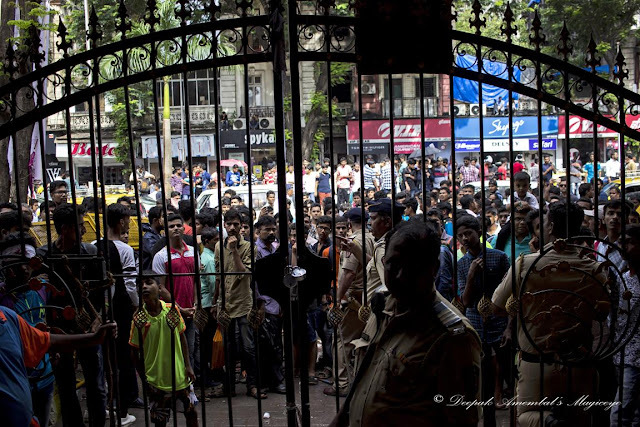 People waiting outside the gates of the Khatu Ganesha workshop, Parel, to get a glimpse of the huge Ganesha idols being rolled out to the Pandals in different parts of the city. 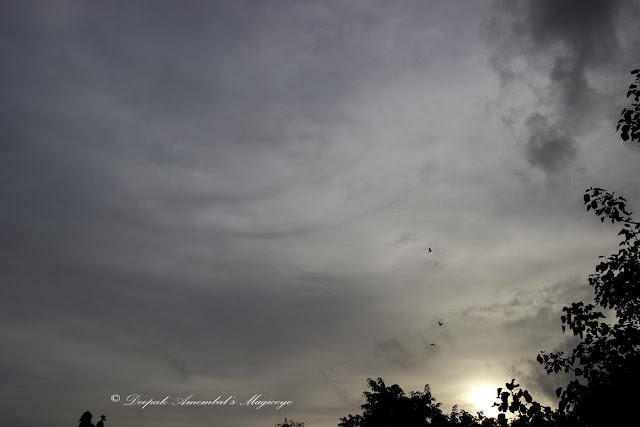 The evening sky in Bandra east yesterday. Moving the Ganesha idol with a forklift in the Ganapati workshop in Parel. 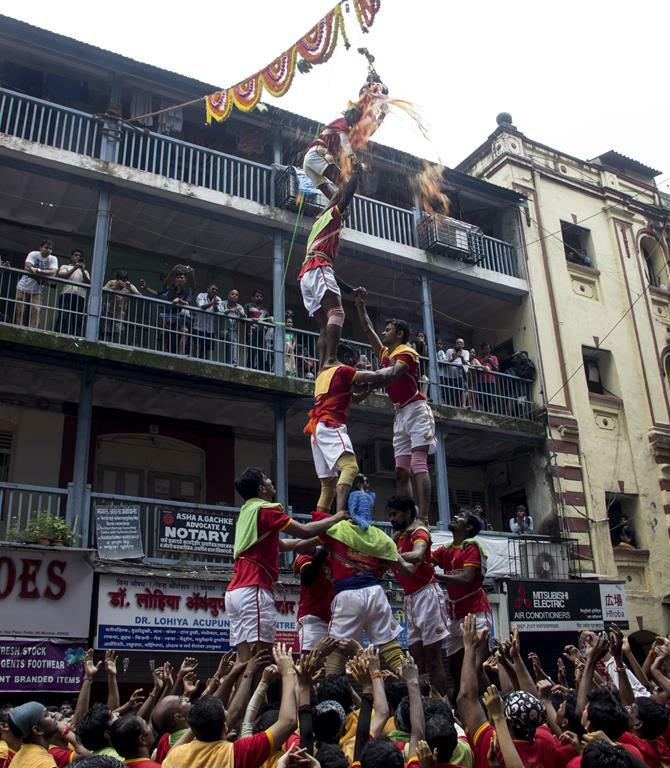 Dahi Handi is a festive event and a team sport during the Hindu festival of Gokulashtami, which is also known as Krishna Janmashtami in celebration of the birth of Krishna. 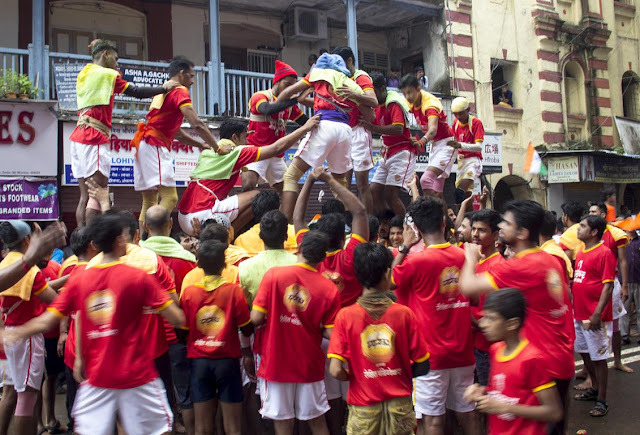 It is celebrated the day after Krishna Janmashtami and it involves communities hanging an earthen pot filled with dahi (yoghurt) at a convenient height for teams of young boys/girls to make a human pyramid and attempt to reach or break the pot. As they do so, spectators sing and cheer them on. 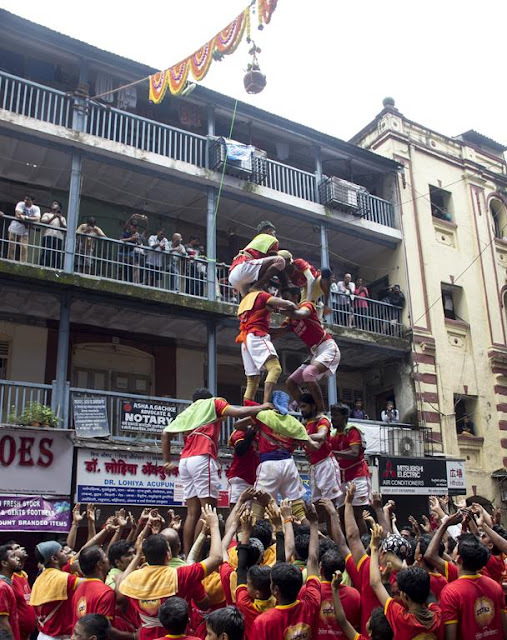 It is an event with media attendance, prize money and commercial sponsorships. 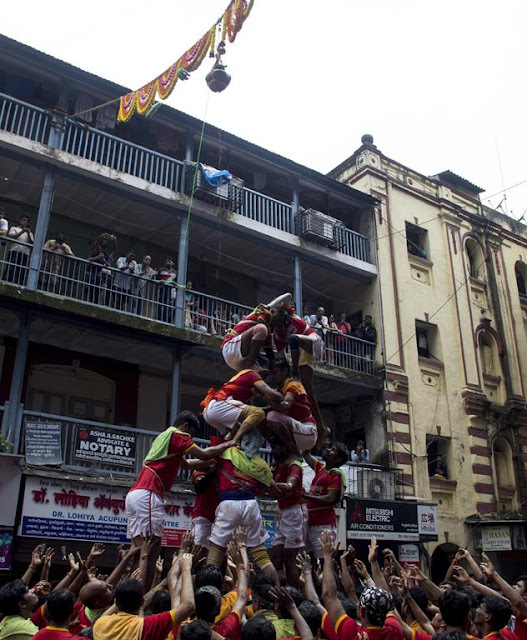 A participant in this festival is called a Govinda and it is very popular in the state of Maharashtra, especially in the city of Mumbai. 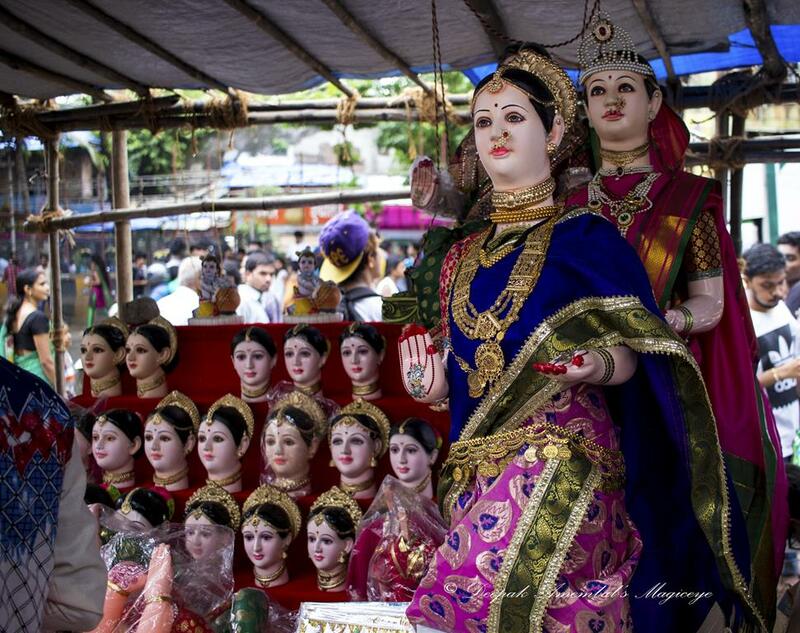 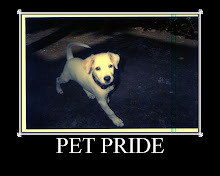 It was celebrated yesterday in Mumbai with great fervour as you can see in the pictures below. 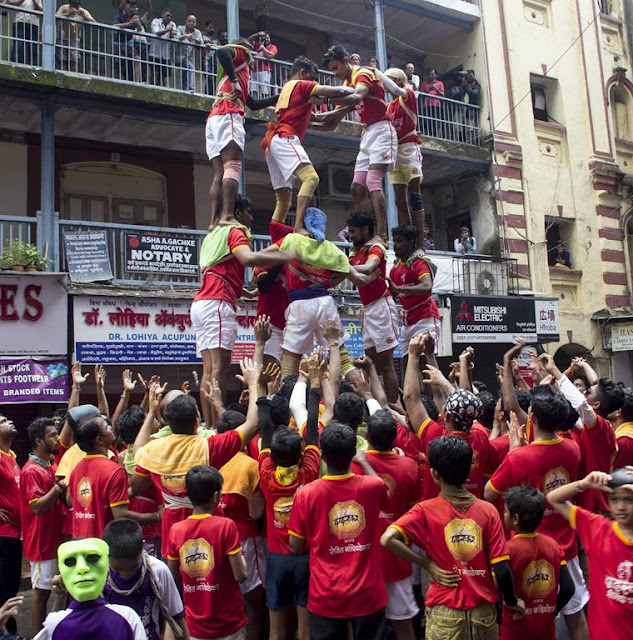 The Captain gauging the height for number of tiers in pyramid to be formed. And they all come down! Shave on the pavement in Parel. 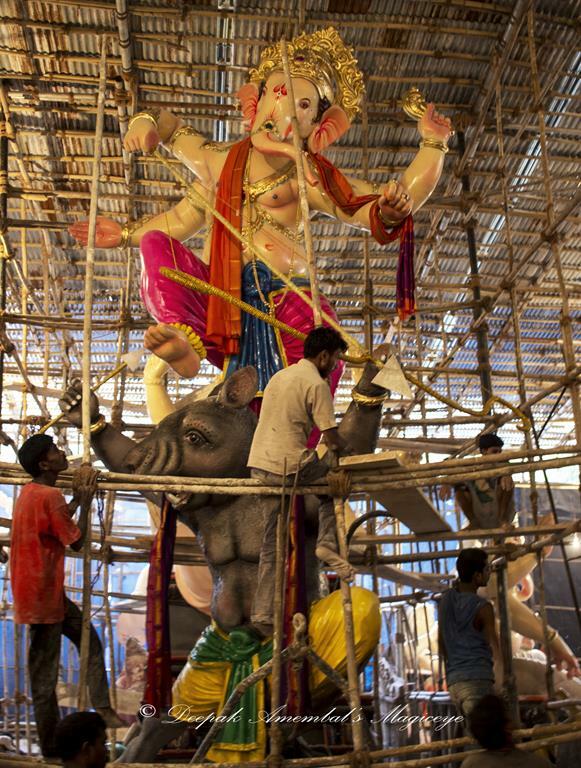 Ganesha idol being readied in one of the largest workshops in Parel, for the oncoming festival starting on 25Aug. 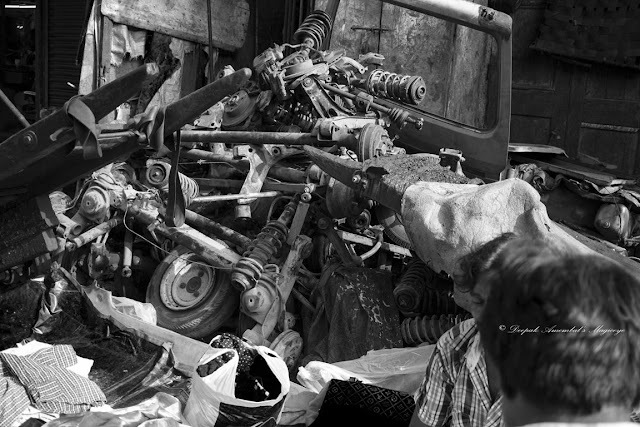 At the flea market in Chor Bazaar. 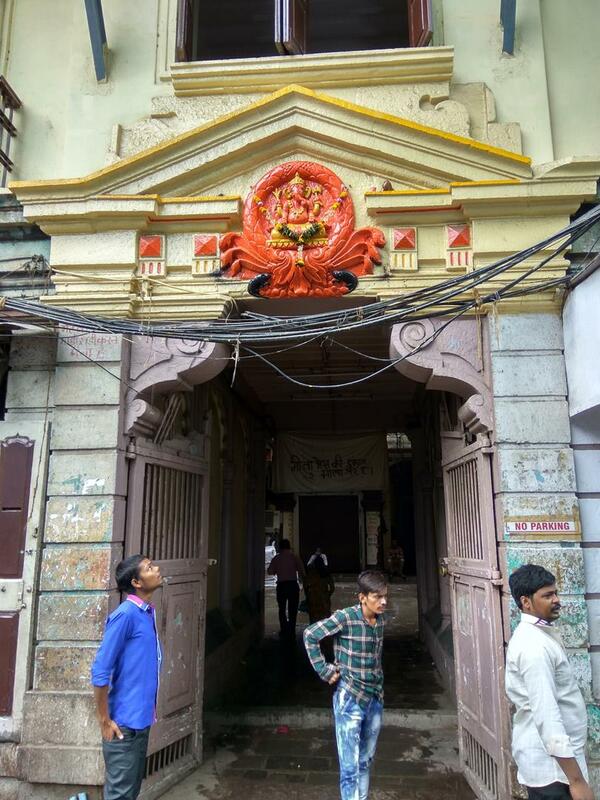 Entrance to a building compound in Girgaon. 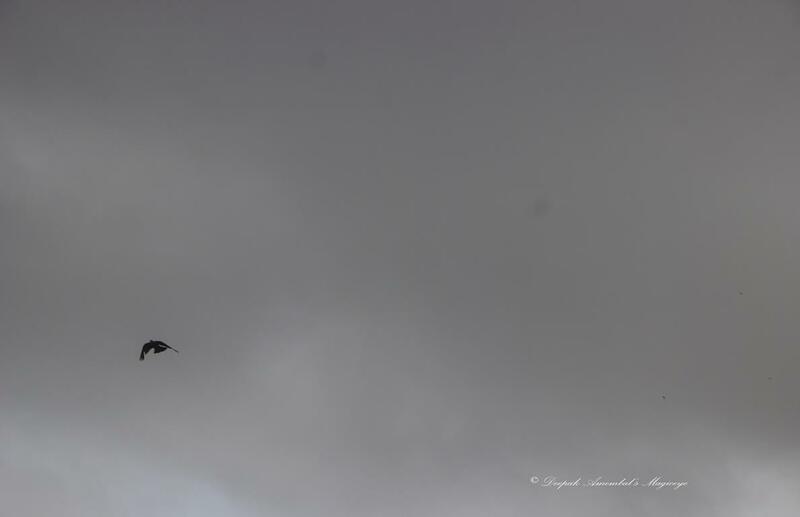 The crow hung on a wing and a prayer. 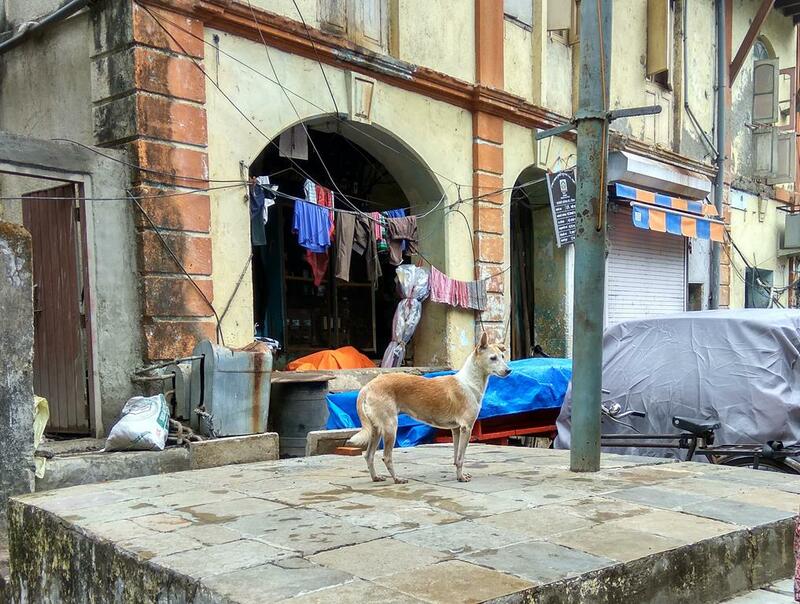 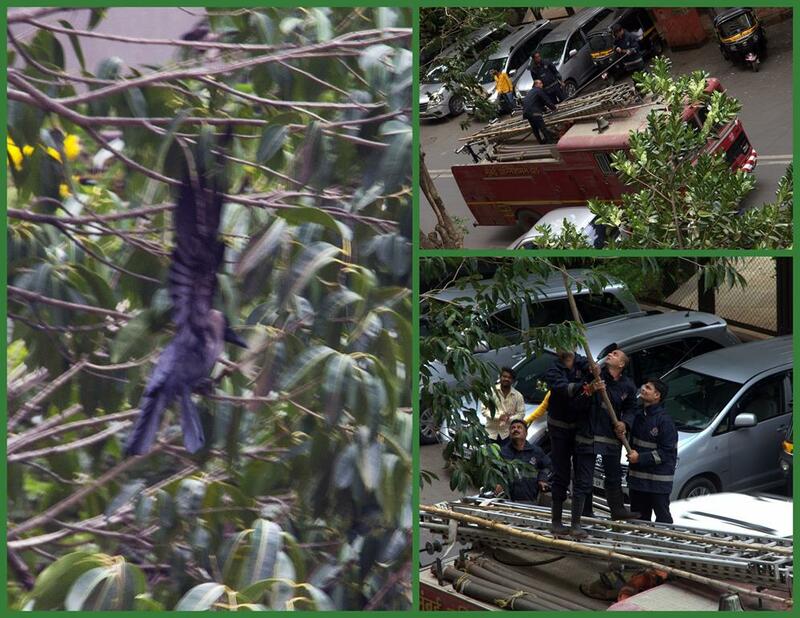 His prayers were answered as the Mumbai Fire Department boys vroomed in to rescue him. They got him off the tree and took him to the Veterinary Hospital for treatment. 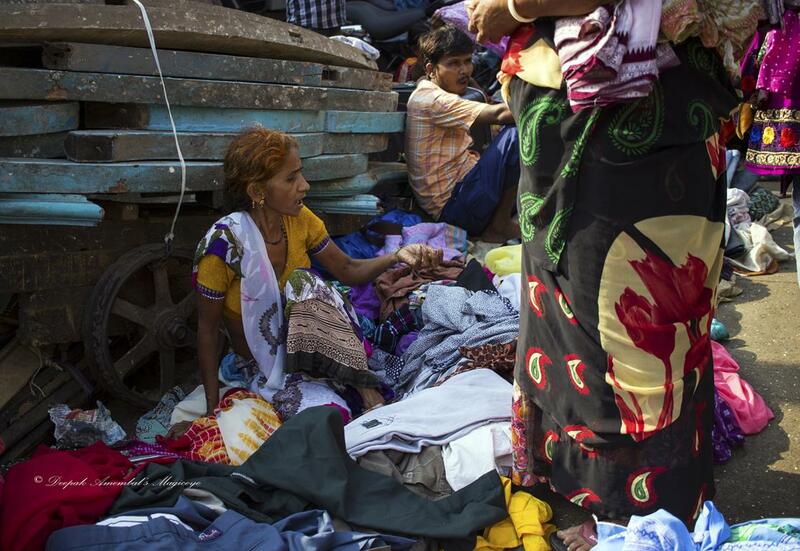 The street entrepreneur, at the flea market in Kumbharwada, making her sales pitch for her wares while the guy sitting behind lets out a yawn. 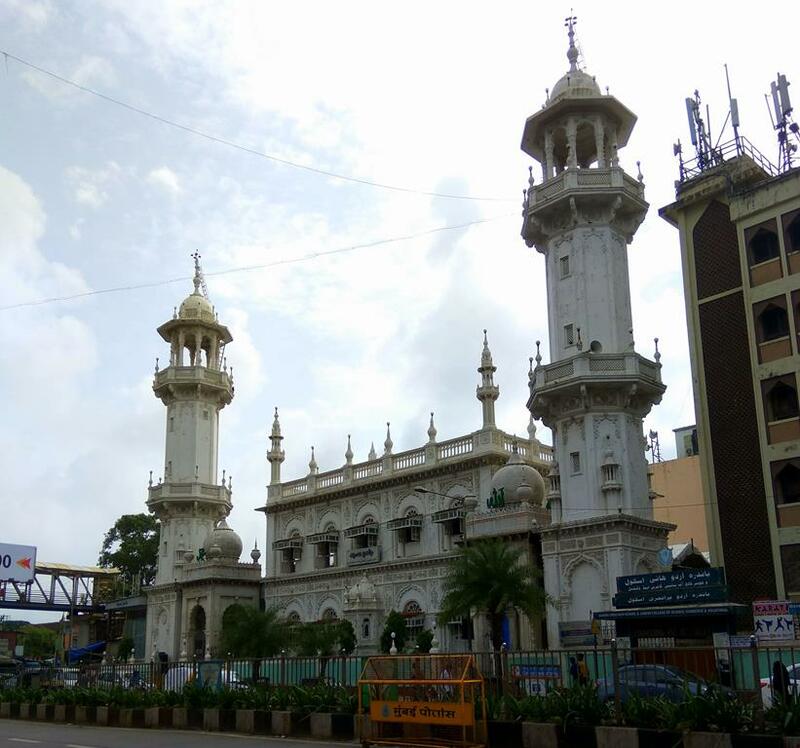 The Jama Masjid in Bandra. Propped up balconies in a building in Girgaon. 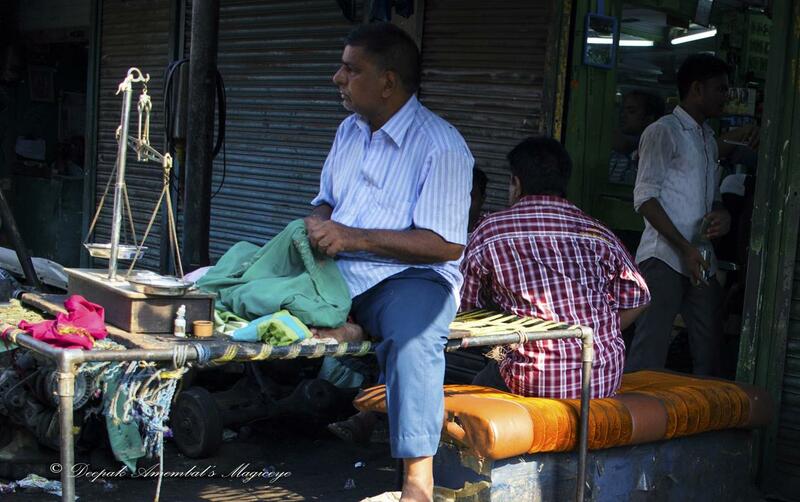 Setting up shop in comfort while behind him is a barbershop with a customer in waiting. 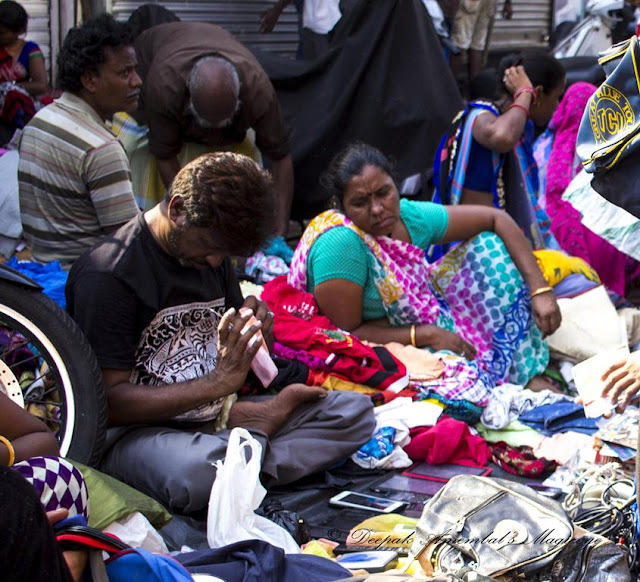 In the flea market in Mumbai. 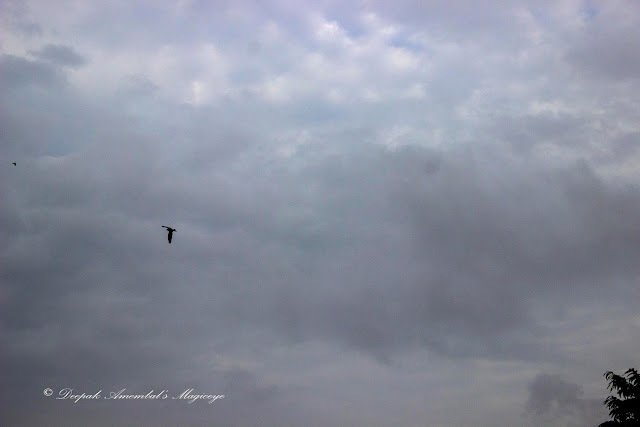 A lone bird enjoying the dark sky in Bandra east. 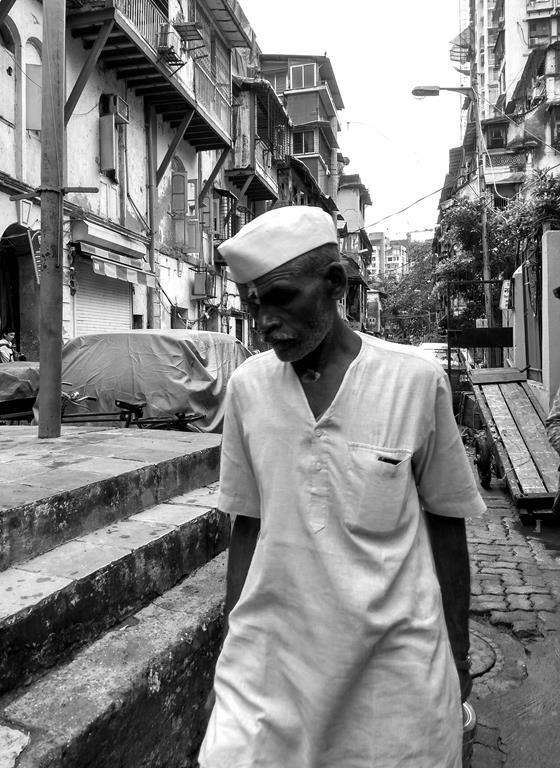 A moment in time at Girgaon. Looking for a bargain in the flea market. 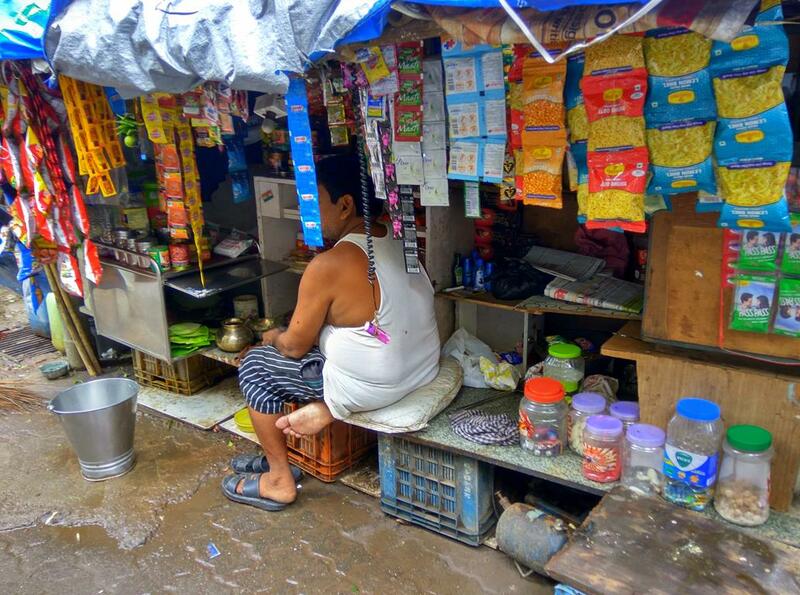 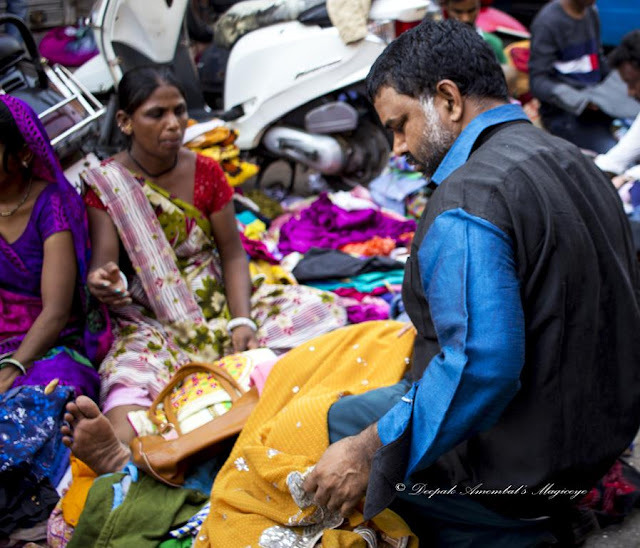 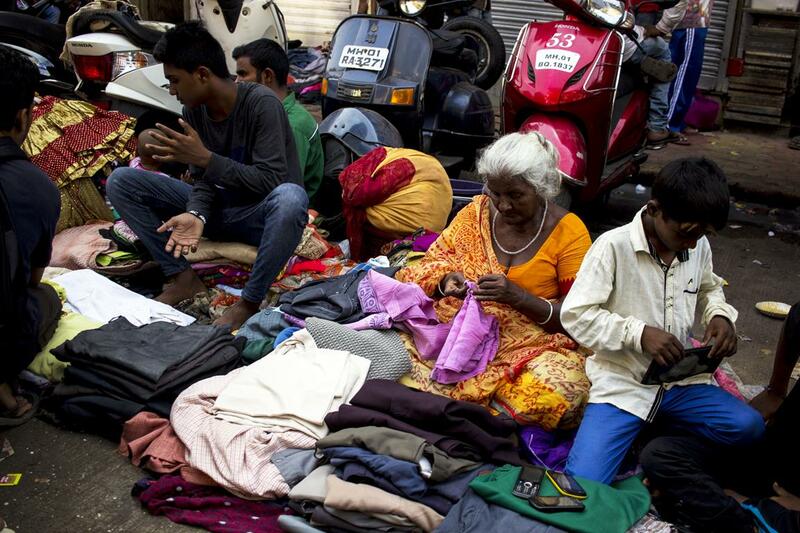 A street side shop at ground level in Girgaon.